As the school year winds down, and summer begins, Coloradans head outside - to shovel their porches. One-half to five inches of snow fell in the Denver-metro area, with the snow resorts receiving two to three feet of snow as of Thursday afternoon, The Denver Post reported. 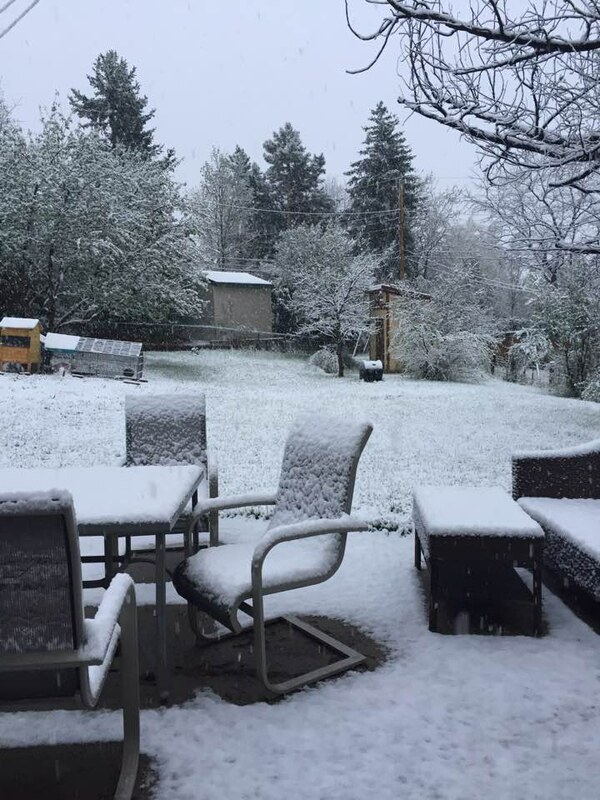 May 18 is the latest day for measurable snowfall in Colorado since 2002. In 2002, Thornton Weather reported, May 24 was the last day of measurable snow for the season. The latest date for the last snowfall in Colorado was June 12, 1947, The Denver Channel reported, and September 3, 1961 was the earliest date of the first snowfall. The Colorado National Guard snow response team was sent to three northern Colorado counties: Douglas, Larimer, and Weld, 9News reported, to provide community support and snow removal. The Red Cross opened a shelter at the Presbyterian Community Church in Estes Park for those in need of food and warmth, 9News said. Estes Park received almost two feet of snow by Thursday afternoon, The Denver Post reported. Six schools were closed Thursday, 9News said, and four more were closed in preparation for Friday's accumulation. While my classmates in New Jersey enjoy 90 degree weather, I will be bundled up as the snow continues to fall in the Denver-metro area.